Erika here wishing you a wonderful work week! the end of 2016 will be here. little tired, a little overwhelmed, and frankly ready for a break. dramatically improve your probability for success! Hi this is Erika Ferenczi from the Unstoppable Female. 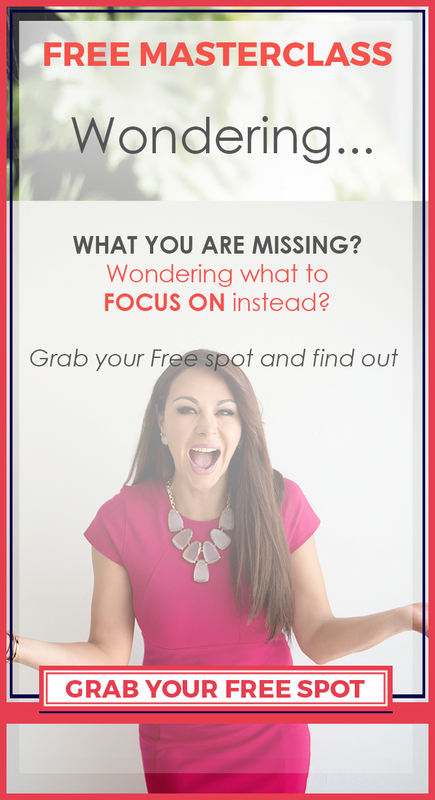 I am coming to you today to talk about how to create a powerful vision for success. 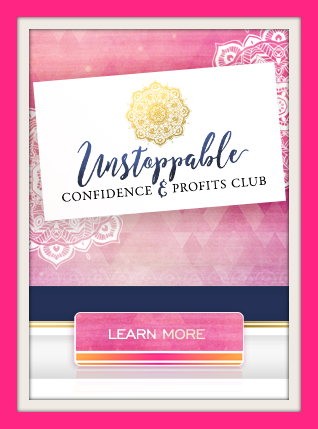 I am here to help you turn your expertise, your message, and your passion into a thriving business so you can attract more clients, make more money, grow your income, and also live the lifestyle that you desire and deserve. We need to clarify these in order to be prepared for 2017. If this topic interests you, keep reading. As I shared with you, today we are going to be talking about your goals and how to create a powerful vision for success for 2017. It’s very, very important that you are clear on where it is that you’re going, so you can get there. Otherwise, like the quote says, “If you don’t know where you’re going, God knows where it is that you are going to end up.” Listen, I know that entrepreneurship, being an entrepreneur, is not easy. It has its fair share of failures, things that don’t work, setbacks, and challenges. If you have been an entrepreneur for a while, you already know this. At some point, it is a given that you will experience one of these things. Either you are burnt out. Or you are too tired. Maybe you put something out there into the world that didn’t work. That is to tell you, there are going to be times when things don’t work or things don’t go as planned, or the results that you get are not the ones that you were expecting. How is it you can keep yourself motivated? How is it that you can keep yourself engaged? How is it that you can re-commit daily, sometimes weekly or monthly, to what you said you wanted, to your vision, to your business, and most importantly, to your message and your purpose in this world? That is what we’re going to be talking all about today. 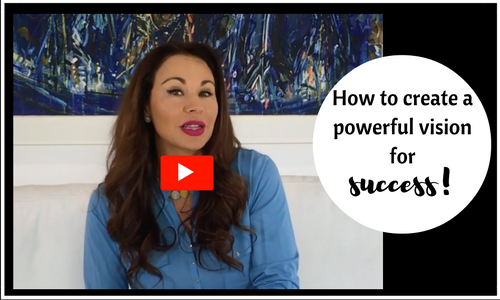 STEP # 1 on how to create a powerful vision for success is that we create a clear, unfiltered vision for what we want because that vision is what will take us beyond our material experience. Yes, I know that making money and surviving is important, but when we have a vision of the future and we are going beyond what we think it’s possible, that vision is taking you. It’s taking us. Taking you, taking me. It’s taking us closer to something that is not necessarily material but is related to your purpose, to your soul’s desire. That is why it is important to have a vision. Because listen, if we are going to be positive agents of change in this world, we need to take responsibility for our own lives. If we say that we want something, we need to take responsibility for getting ourselves there, and what better way to do that than to build a strong vision with strong objectives on what you need and want to accomplish in the following year. -The truth is that every decision we make has consequences. Some are positive, some negative. But we must accept the responsibility for those decisions so that we can really be in charge of the quality of the life that we want to live. That is what gives us total freedom. With that being said, let’s go and talk about the three strategies, or the three ways, or the three tips that I have for you today, in order for you to create a powerful vision for 2017. Our vision is the force that propels us forward in life. Two things, a clear vision that is propelling you forward, that is calling you forward; and very strong pain or dissatisfaction that you want to escape from. If you can bring those two things together, you can create lasting change in your life, and you will have the energy, the motivation, the desire, the commitment to go after your dream. Make sure that you have those two steps. That will be strategy number one. Make sure that you have a clear enough vision, and you have very clear reasons for what you are leaving behind. What is that past? What are those things that you have experienced in the past? Maybe dysfunctional relationships or lack of money, maybe you haven’t been the person that you wanted to be, maybe you have experienced pain in the past that you want to get away from, and that, compelled by the vision of what you want, can give you a fantastic reason to keep moving forward. Then, what you want to do is come up with three objectives for 2017. Just three. Most people make the mistake of coming up with 5, 10, 15, 20 objectives that they want to accomplish in a given year because in their minds they have only twelve months. However, believe it or not, twelve months is not that long, right? I think it’s Anthony Robbins who says “Most people overestimate what they can do in a year and underestimate what they can do in five years or in ten years.” You can truly change your life in five years, but do not overestimate what you can do in a twelve-month period. STEP # 2 on how to create a powerful vision for success is to Come up with three objectives. Ideally, one or two would be for business and one, maybe maximum of two, would be for your personal life. Why would it be awesome for you if that objective was accomplished in 2017? Imagine that you are sitting at the end of 2017. It is December 31st, 2017 and you accomplished three things in your life. What would those three objectives be? When you come up with those objectives, don’t worry if they seem reasonable or not. Right now allow yourself to dream. Allow yourself to really go for what you truly want. Number two, once you’ve gotten those three objectives down, what you want to do is make sure that they are really meaningful to you because the more meaningful they are, the more you will be energized, determined, and committed to go after those objectives in spite of the challenges that are going to show up along the way. How can you make sure that those objectives are meaningful? The number one thing that you must do is make sure that those objectives are aligned with your highest values. Now, a word of caution. If I asked you, “What are your highest values?” most likely you’re going to have a pre-programmed response. You’re going to tell me, “Well, my highest values are … I don’t know. My family, my friends, my health.” So I ask you—right now, “What are your highest values?” Just take a second to jot them down. I want you to get real about what your highest values are. Not what you say they are, but what they really are. The best way to know that for sure is to take a look at two very important areas of your life. Just look at your life, and look at how it is that you’re living your life every day. For example, if somebody tells me, “You know what, Erika, I want to lose five pounds by X date.” However, when they go home, the only thing they do is take out a bag of chips or a gallon of ice cream, and they sit down in front of the TV to eat and watch TV. What that is telling me is that even though they want something—and I am not saying they don’t want it—they are not being congruent because they are valuing being comfortable much more than they are valuing losing weight or being healthy. You see what I mean? You say that these are your highest values, but what is your life telling us? A great way to uncover this is to look at two areas. Number one, look at your bank account, and number two, look at your agenda. Where are you spending your money? Whether you have lots of money to spend or very little money to spend, that doesn’t matter. What are the things that you are spending your money on, and Where are you spending your time? What are the areas of your life in which you are spending the most time? That will give us a really good insight into what your highest values truly are. Now, if you look at those two areas and you don’t like what you see, maybe you have become unaligned or misaligned with what you truly hold as your highest values. This is a great moment to make different decisions about how you are going to start living your life, and spending your time and your money every single day. When I go to a super market or a pharmacy, I know that the clerks are not making lots of money. They are making a basic salary. However, when I looked at their devices, they have a $400 or $500 telephone, or an $800 tablet. Maybe you see somebody on the street begging for money, but they are smoking cigarettes. They are spending their time and money on cigarettes. That is incongruence, right? That is what I am asking you to do? What are your highest values? Make sure that those objectives are aligned with your highest values because otherwise, at some point, you will lose momentum and you will stop believing in those values. Make sure that those two are aligned. -Number three when you look at your values, you see that what is happening in your life right now is not what you would like to happen. Then it is time to make a change. It’s time to do effective goal setting. How do you become more effective at setting goals? Make sure that your goals are aligned with your top values. That is one of the fastest, easiest ways to make sure that you are aligned with your goals and with your objectives. STEP #3 on how to create a powerful vision for success is to make sure that you set yourself up for success. You need to focus on process oriented goals rather than on results oriented goals. Let’s go back to the example of losing five pounds. Let’s say that my goal is to lose five pounds. However, losing the pounds is not under my control. What is under my control is that I can exercise 45 minutes, five or six times a week. I can eat healthier, stop eating chips or carbs, or pasta or whatever it is. I can be in charge. I am totally responsible for the process goals that need to happen for me to reach my overall objective which is losing five pounds. Let me just give you an example. Let’s say that you want to make $10,000 in your business. You can not control that unless t you are capable of taking the actions necessary to take you to that $10,000. What you need to do is if you have a list, and you want to create a private practice, for example. Let’s say that you want to fill up your private practice in the next three months. Okay, well, you can sit down and decide a marketing activity, you can host a webinar or do a product launch, host a retreat or do a live event, or do something that is going to take you to your $10,000 goal. Do you see what I mean? Focus on the process goals that are going to achieve your overall goal. Do not only commit to the overall goal. STEP # 4 on how to create a powerful vision for success is to Set Metrics. Goal Setting is not only about saying, “I am going to eat healthier.” It is saying “Okay. I am going to eat one shake in the morning, one salad in the afternoon, and I am going to have this for snacks. I am going to exercise five times a week for 30 minutes.” Set up metrics for each one of those process goals and make sure that you’re keeping yourself accountable. Have a way of checking your accomplishments every day. Every single day. For example, let me share with you, in my phone, I have a set reminder to make sure that I go over my objectives of the day. I have a piece of paper with my objectives of the day, and then I have a set reminder on my phone that reminds me to sit down for five minutes, or two minutes, sometimes even ten minutes, to look at my objectives and keep myself accountable. Did I do A, B, C, and D that I said I would do? Or, maybe I didn’t do it. Now, I even go a step further, and I have a letter-sized piece of paper, that has a calendar on it. If on that day I completed my goals for the day, guess what? I put a check mark on that piece of paper. That piece of paper is in front of me in my home office. Every single day I see: Monday I did it. Tuesday, I did it. Okay, Wednesday I didn’t do it. I cross it out. Which brings me to an awareness of what I need to do for Thursday. Am I doing what I said I was going to do, or am I falling behind for the second day in a row? Believe it or not, that daily accountability is key for your success, and to also make a plan in case you’re falling behind. STEP #5 on how to create a powerful vision for success is to Have Grace, Trust & Faith. When we start doubting and going into those internal conversations that completely derail us emotionally, this is when you start feeling disempowered. You start feeling sad. You start feeling overwhelmed. You start feeling like you want to give up, and on and on. It’s very important that you keep up your emotional state of mind. One of the best ways to do that is to trust in the process. I know that this is a big word, and it is a big deal for most of us because trusting in the process and having faith in the process is not easy. But everything happens for a reason, and everything that you are experiencing in this moment is preparing you to to hold that which you want. Let me give you an example. At the very beginning of my business, I wanted to have ten private clients. However, for a few months, I only had three, and no matter what I did, I didn’t get anymore. By the way, at that moment when I had only three clients, I was really stretched to the end of what I could hold—with the business, with the kids, with the family, with all the things that I needed to do. I felt stretched. It was not until I grew my capacity to hold more in my life that then, very wisely, the universe or Spirit, whatever you want to call it, sent me more clients. Sent me more work. Sent me more things. Because I expanded my capacity to hold what was given to me. If in this moment you want ten of something and you only have three, guess what? Be grateful. Instead of being preoccupied and wondering if you’re ever going to get ten, focus on extending your capacity to hold what you already have and doing what you already have with ease, grace, and gratitude. In that moment, your capacity will expand, and you will receive the next blessing into your life. Because everything that is happening is preparing you to move forward to the next level in your journey, you need to be able to hold it. Whatever is happening right now is preparing you for that. Yes. You’ve already been given the promise that that is going to happen. How do you know that you’ve been given the promise? Because you feel the desire. Because you’re being shown the way. “Erika, if you do this or do the other, you will get there.” But, I am not there yet. I am in the process of getting there. You have a promise, but that promise has not materialized yet. Why? Because in the process, I am being prepared to see that promise, to hold that job, to do that position to the best of the ability to get to this destination. I am being prepared in the process. Remember that you are never given anything that you can’t handle. If at this moment whatever you’ve been given is challenging, take a deep breath, be grateful for what you already have and focus on expanding your ability to hold on to that. That is my message for you today. I hope that you sit down and create that vision for your life. You create those objectives so that you are very clear on what your values are, and you embrace some faith and trust in the process. As always, remember that life gives you a gift but also a responsibility to share your message with the world. You have a message. You have discovered your purpose. It is your responsibility to share that with the world. Share your message. Shine your light and step up to help the people that you were put in this world to help. This is Erika Ferenczi, and I will see you next time.